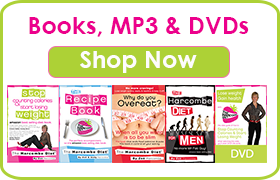 The Harcombe Diet® by Zoe Harcombe | What could I lose? Take a look at an extract from Stop Counting Calories & Start Losing Weight, Amazon reviews and success stories from our club and you will see people sharing how much they’ve lost. We also have some blogs on this site where people have shared their personal stories. See how Ian is literally half the man he was; how Ellen has made health and nutrition her life; how Jules became a size 6-8 and how Maggie finally found a diet that worked. 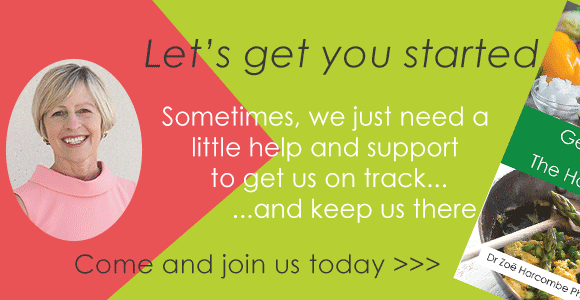 For so many people, Phase 1 has become a 5-day super-tool – try it and find out why. Then you can discover Phase 2 and 3, while continuing to eat nutritious and delicious foods. 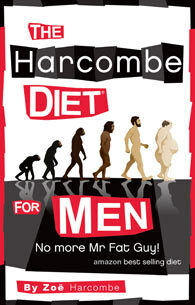 Does the harcombe diet work as successfully the 2nd time round? I did it for 2 years successfully but have fallen off track fit about 2 years and have regained the weight list originally. I had heard that it wouldn’t quirky so well if I tried it again. Hi I do time restricted eating, 16:8,could I still continue to do it whilst on the Harcombe Diet? Is Xylatol allowed on phase 1? I use it as a laxative. Hi I have a underactive thyroid which I take medication daily for, the consultants are still trying to get my levels right ( I was diagnosed 3years ago). I’ve always struggled with my weight and keeping it off. I’ve tried nearly every diet and no matter how healthy I eat I don’t seem to lose. I’ve even starved my self and only ever lost a stone max. I’m an active person too. It seems like I only have to look at food and it puts pounds on. Hi I’ve just done Phase 1 and lost 10lbs – very pleased. In the books Zoe says that if you have more than 20lbs to lose you can carry on with Phase 1 for a bit longer. Will you see the same rate of weight loss? I e just done a further three days and haven’t lost any more weight 🙁 not sure whether to just to crack on with Phase 2 instead just so the food plan is a bit more varied and ram retains my interest as phase 1 I feel like I’m flogging myself for no gain (or loss – no pun intended!) help please! there’s no formula for weight loss and everyone is different. Some stay on Ph1 for weeks as it just helps with the three conditions. Others move onto Ph2 )weight-loss phase) and continue to do really well. When you do move to Ph2, try and only reintroduce one food at a time and check your response. P2: can we use stevia? Are there any low fat cheeses that can be combined with bread? can eggs and milk and a bit of flowr be mixed together? Can I have cheese on breakfast? Hi I currently fluxuate between 8 stone 9 and 9 stone. I want to get down to bewteen 8 stone / 8 stone 3. I excersise very regularly and eat very healthy with the odd treat on the weekend. Will this diet benefit me? Depends where you are on your bmi scale and if that would be a natural weight for you to get to. Hi I have recently found out I have food intolerances to yeast and Dairy so I am gathering information of what I can eat and what I cant which is proving very limiting. I have been reading about the Harcombe diet which seems the diet to follow I just hope I can stick with this as I desperately need to lose at least 2/3 stones after trying every diet under the sun. Is there a 7 day plan I could follow which would make life easier.